We offer secure, ultra-reliable business email and web hosting solutions with more than 99.99% uptime and availability. Our email services are compatible with most of the modern mail clients available today. We run POP3, IMAP, SMTP, and several webmail servers for your convenience. Affordable and reliable web hosting is available to complement your email services. 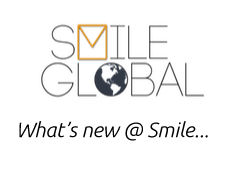 Smile is revamping our email and hosting services with the goal of making things easier for you and improving customer satisfaction. Let us know what you think! Smile stands behind its reliability and features. Read what our satisfied customers have to say about us. For information regarding upcoming maintenance or system status, please check our Status page. Thanks so much for your detailed response here. It really means a lot to know I've got good support. My wife found you via a search engine, you are proving to be a very reliable e-mail server. Reasonable service providers who do their best to keep things running smoothly and communicate the truth to you are WORTH THEIR WEIGHT IN GOLD!